This is Andy, my cute little nephew. 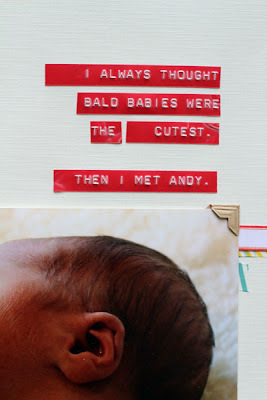 All of my babies (like my sister and I) were bald, and I loved their bald little heads. Hairy-headed babies were foreign to our family. Then Andy came along, and he has the cutest little hairy head. Lots of tape on this one! 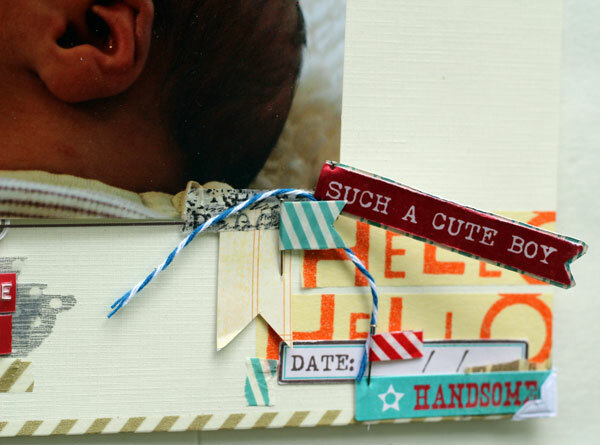 I used some My Mind's Eye stickers layered on the bottom corner, along with some tape. 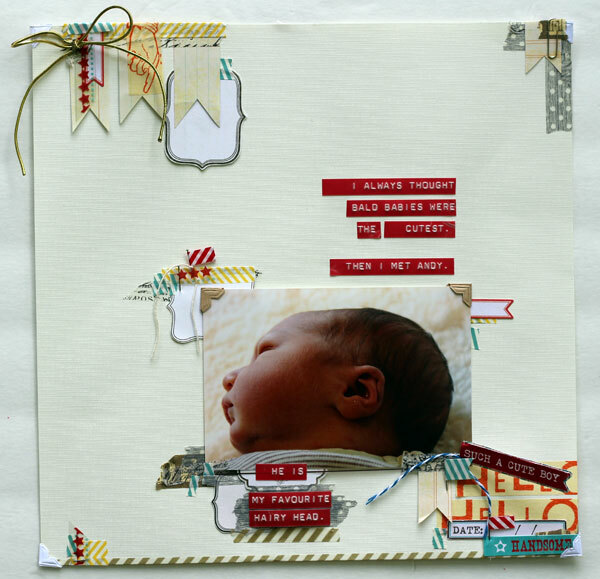 Supplies: cardstock (Recollections); patterned paper (My Mind's Eye); stickers (My Mind's Eye); tape (Tim Holtz, Cosmo Cricket, Bella Blvd); photo corners (Canson); pins (Dritz). 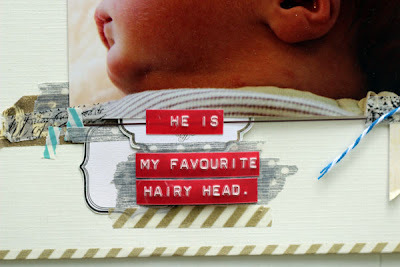 What a beautiful hairy-headed baby, and your adornment of this photo is nothing short of perfect!